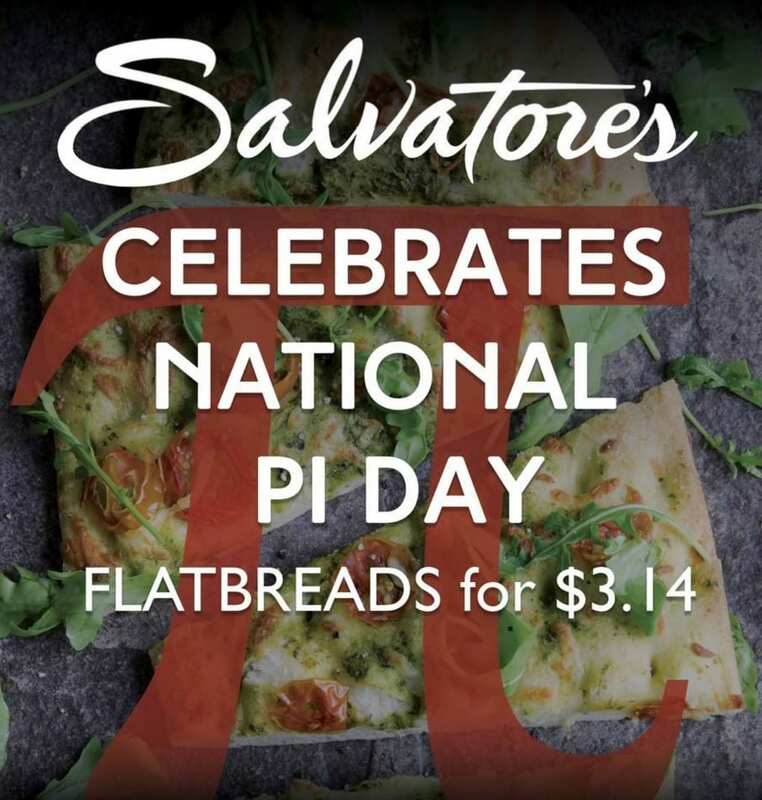 Salvatore’s: Enjoy Italian Flatbread Pizzas at the bar from 5-9PM for $3.14 at all five locations! Petsi Pies: Stop into Petsi Pies (285 Beacon Street, Somerville) at 1:59 today on 3.14 and If you can verbally receive 10 digits of Pi, you can receive a free a free cutie pie. However, the more digits you can recite, you may be able to score a bigger piece of pie! Good luck! Charles Hotel: The Charles Hotel in Harvard Square will be offering 31.4% off the best hotel rates with a flash sale from 9-5pm (EST) on 3/14 for overnight spring stays! Whole Foods: Save 3.14 off sweet pies and $2 off take-n-bake pizzas at Whole Foods today only! Pizza Hut: Solve complex math problems for a chance to win free (pizza) pi(e) for a year from Pizza Hut! You can also give some pie ($3.14) for a chance to win a VIP experience from Flutter to the Museum of Science in Boston! Please let me know if I missed any great deals or discounts for Pi Day this year in Boston! Half off pizza at Bel Ari restaurant (right by South Station) all week during happy hour!